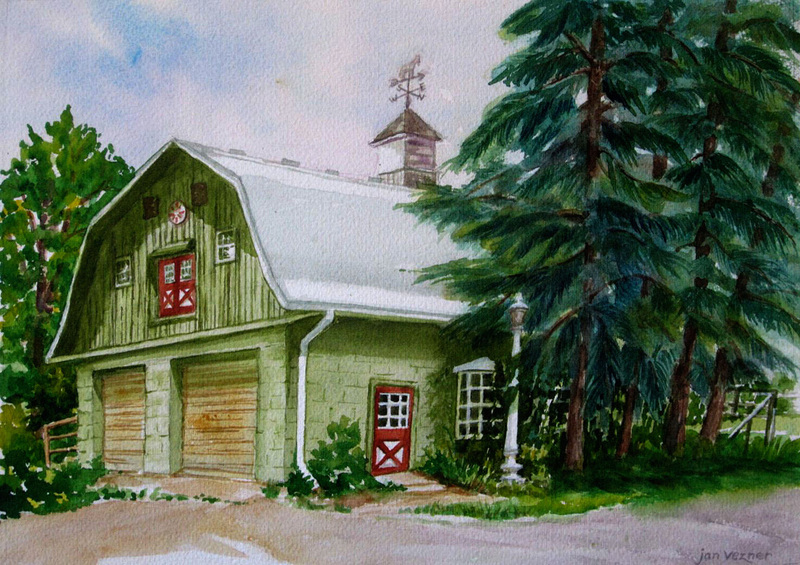 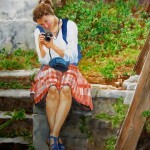 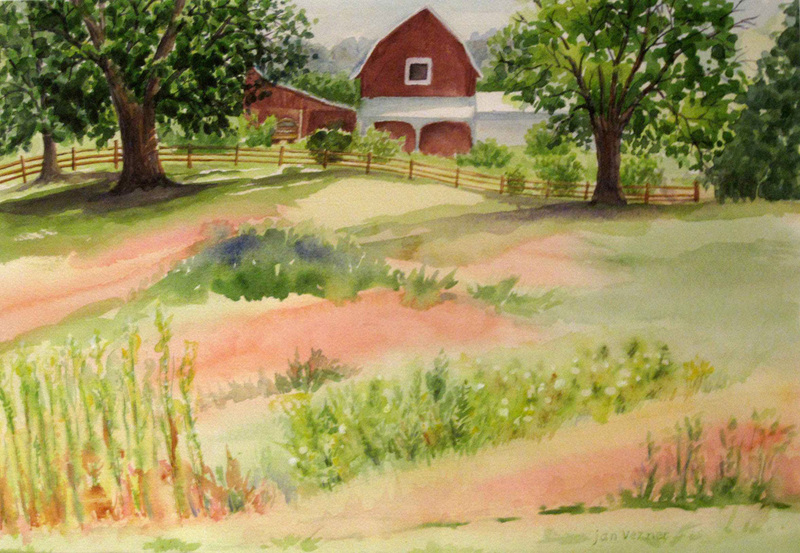 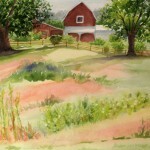 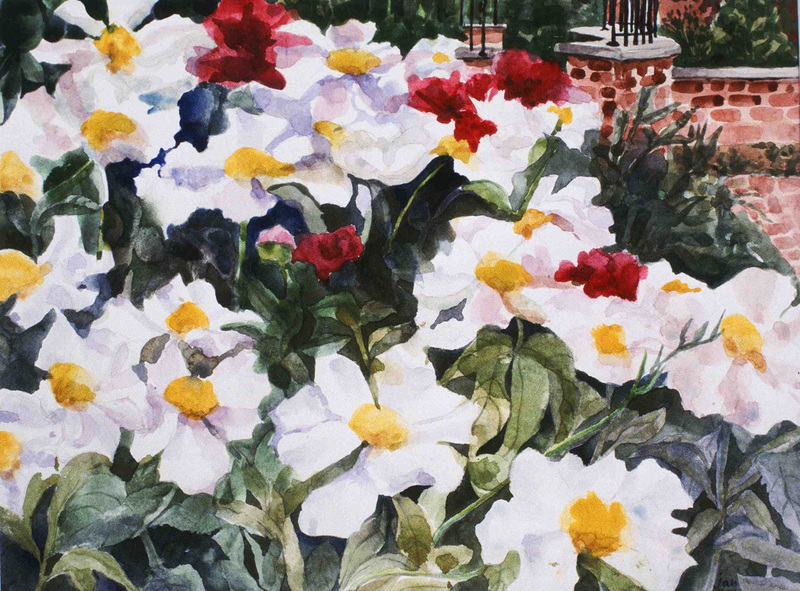 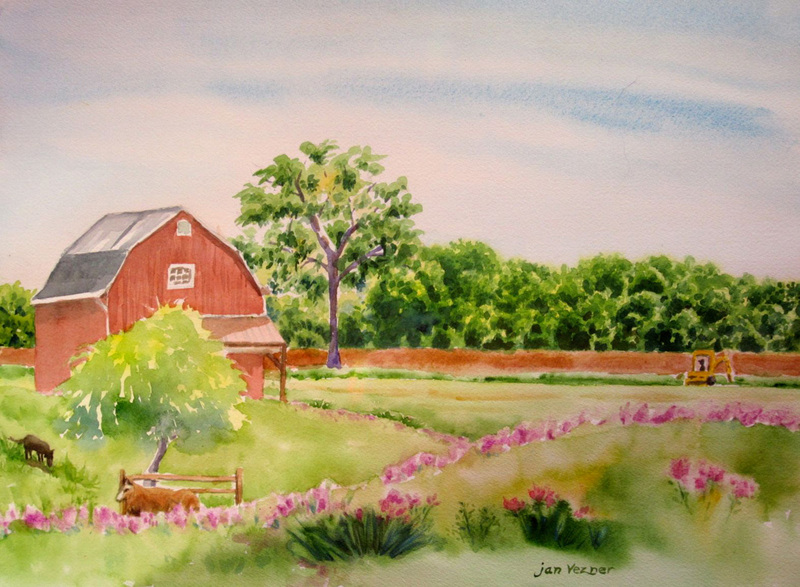 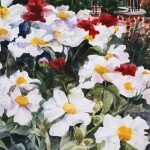 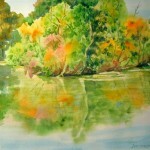 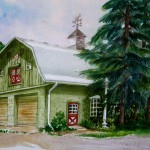 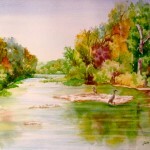 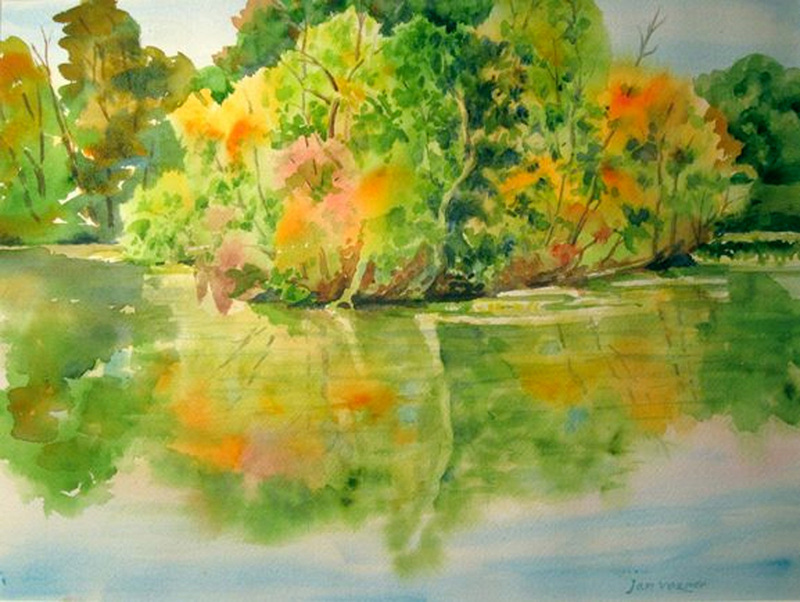 Jan studied art at The University of Toledo with an emphasis in fine arts and the media of pencil and watercolor. 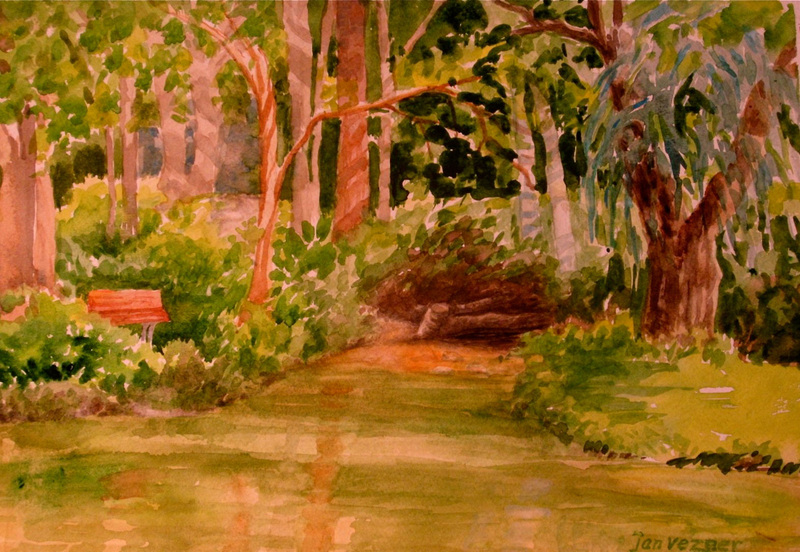 After graduation she did some free-lance illustration; then became a graphic designer for the university and won awards for her designs. 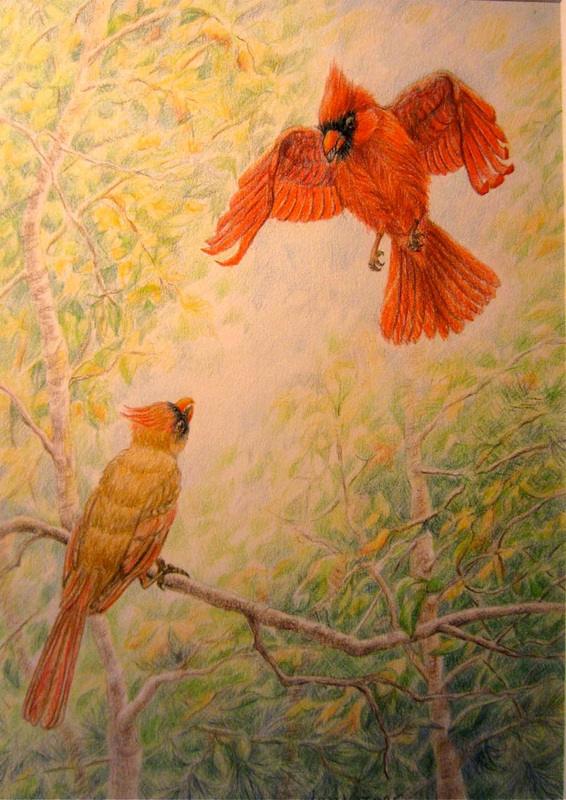 Her primary love was book art, illustration, and designing books; including making some of her own sketchbooks in a course at Arrowmont School of Arts and Crafts in Gatlinburg, Tennessee. 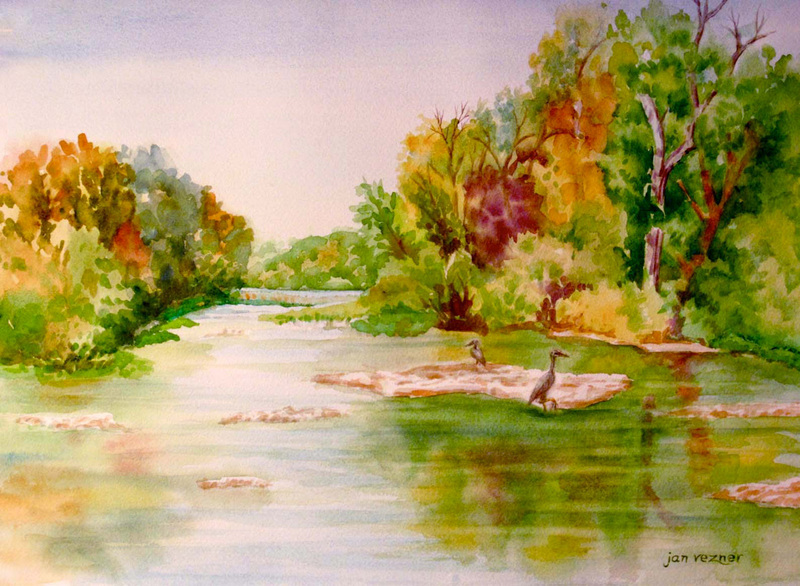 She later returned to the fine arts of painting and drawing, with some pen and ink notecards done of Toledo, Ohio's metroparks, sold in local establishments. 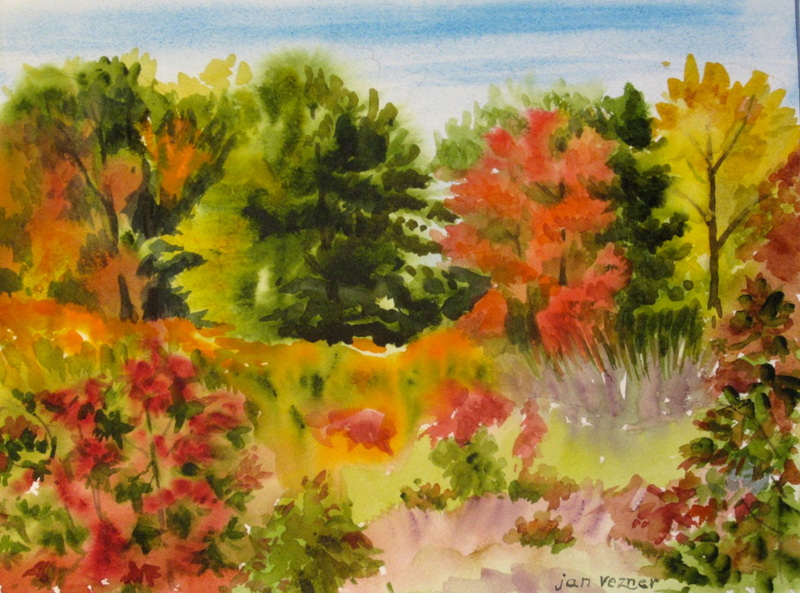 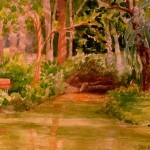 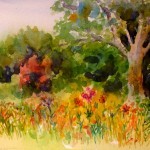 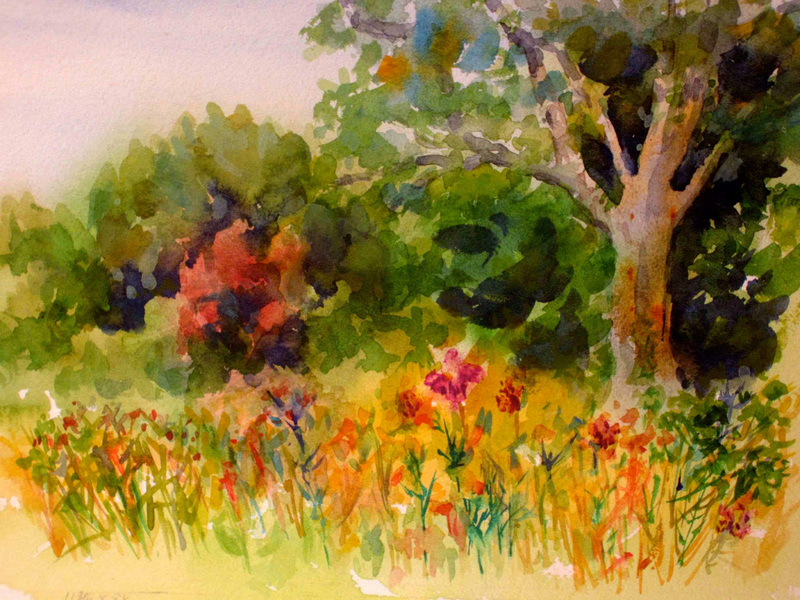 Jan enjoys painting with a local group of plein-aire painters spring through fall. 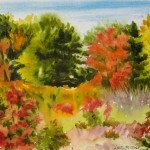 Her paintings have been exhibited with the Athena Art Society, Bedford Library Arts for the Future (Michigan), Toledo Artists' Club, Toledo Metroparks, and Toledo Women's Art League, winning awards among these shows. 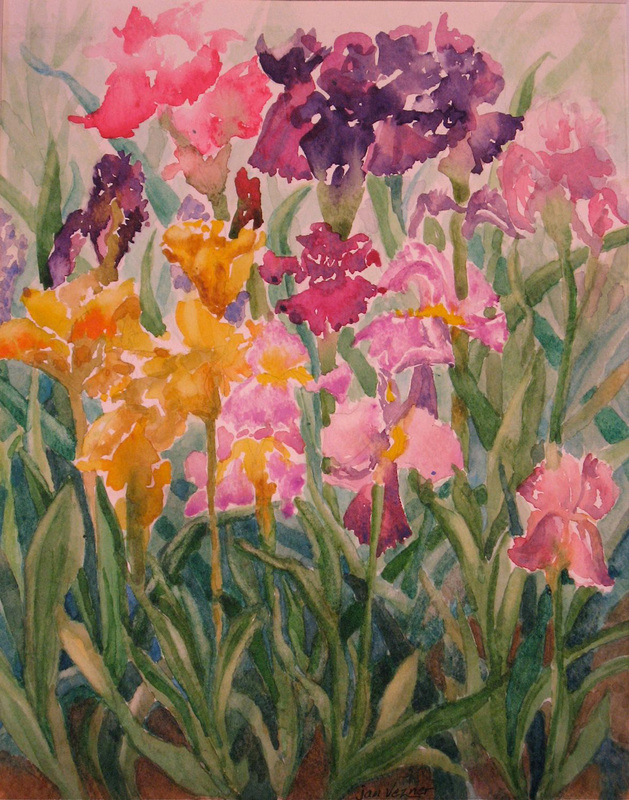 She is currently active in Athena Art Society and Toledo Women's Art League, and has been president of both organizations. 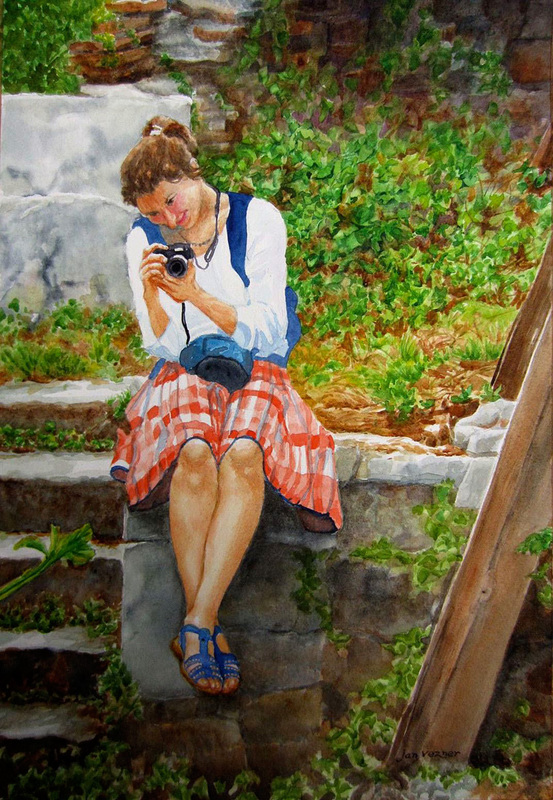 Nature, traveling, and observations of people, have been her muses. 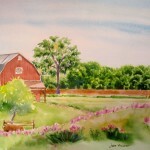 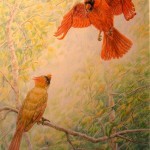 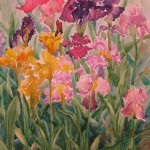 The Silver Lining Gallery in Waterville, Ohio and River Centre Gallery in Sylvania, Ohio carry Jan's art.